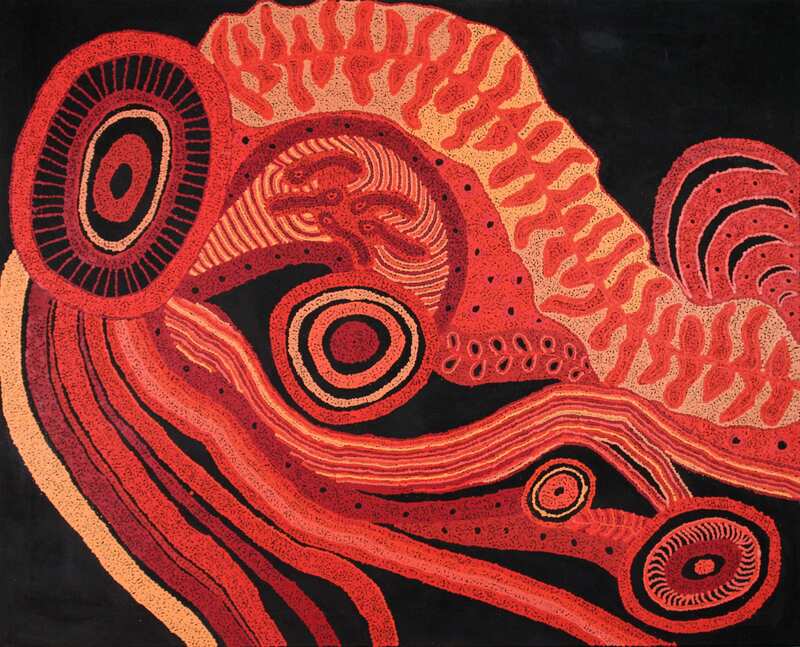 This painting depicts the kapi tjukula (waterholes), mupu and apu (mountains and rocks), tali (sand hills) and pumu (trees) that surrounds the artist's home, Mimili community. Mimili has many ancestral songlines that criss-cross this land. A really important place for Anangu from Mimili is Antara, a ceremonial site on top of a hill. This is a place for inma (ceremonial song and dance) relating to the Maku (witchetty grub) Tjukurpa.